Plants and terrariums are my latest obsession in life. I’ve always had a brown thumb, so what I’ve learned about keeping plants was completely through trial and error. Nowadays, I tend to prefer succulents over anything else. They require the crappy, rocky soil that is found in my backyard, little or no fertilization, medium light, and a watering once to twice a month. All of those conditions are what my tiny and dark home provide. 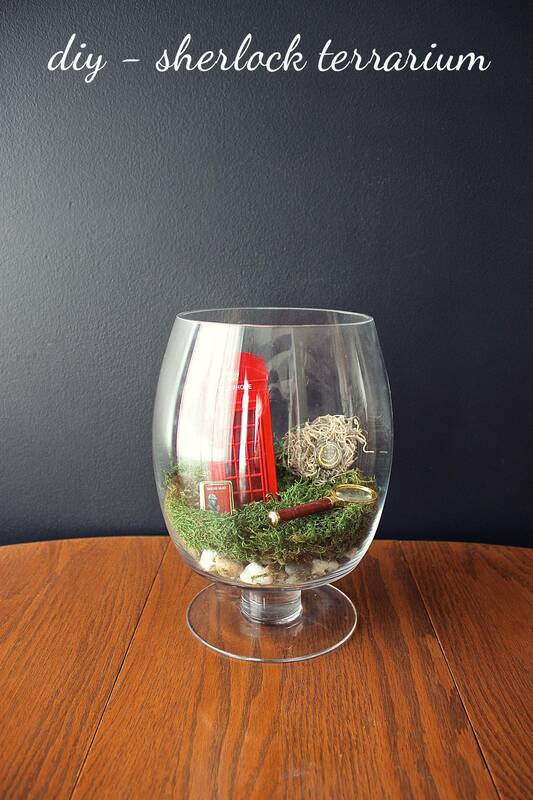 Terrariums are a whimsical and one-of-a-kind way to take your plant collection up a notch. I just adore them! Can we talk about the series Sherlock for a minute? Fans and Cumberbitches alike will have understood the meaning behind the title of this post. If any of you haven’t yet seen the hit BBC show then I can only say one thing, go and watch an episode right now! I promise that you will not be disappointed. It has complexity, class, humour, action, excitement, murder, a sense of modernity combined with the old, and much more. And the theme song? It’s nothing short of brilliant. Now let’s discuss this DIY that I have set before you. 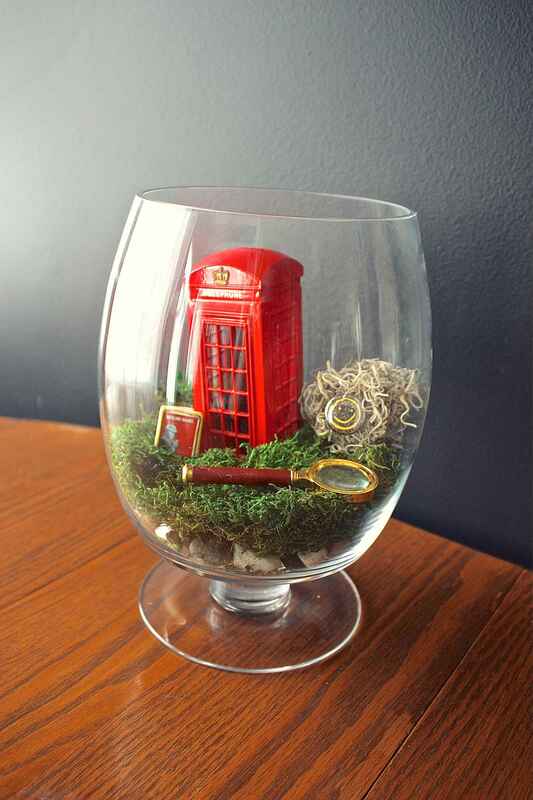 Highly inspired by this terrarium, I thought what better way to display my two latest passions than to combine them in a glass setting? So I went on eBay, ordered my supplies, and waited about a week for them to come from all over the world. 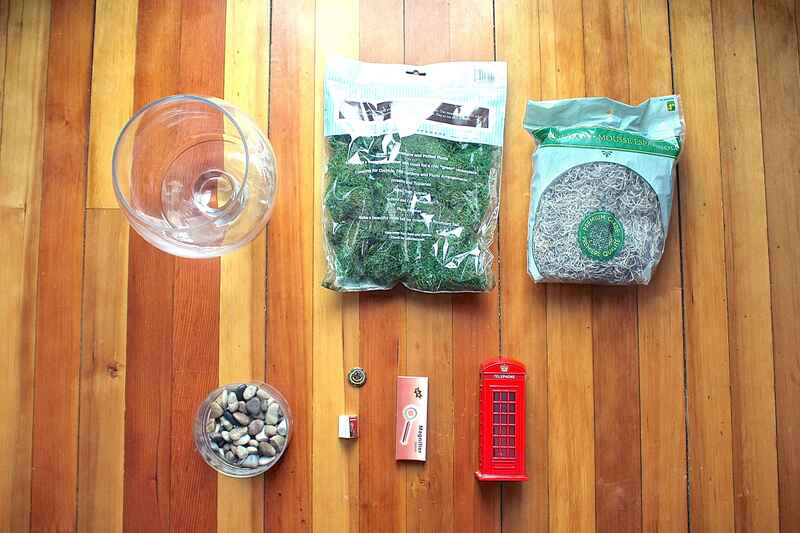 It was incredibly easy, incredibly inexpensive, and incredibly fun. I have to say that this has been my most favourite DIY yet. 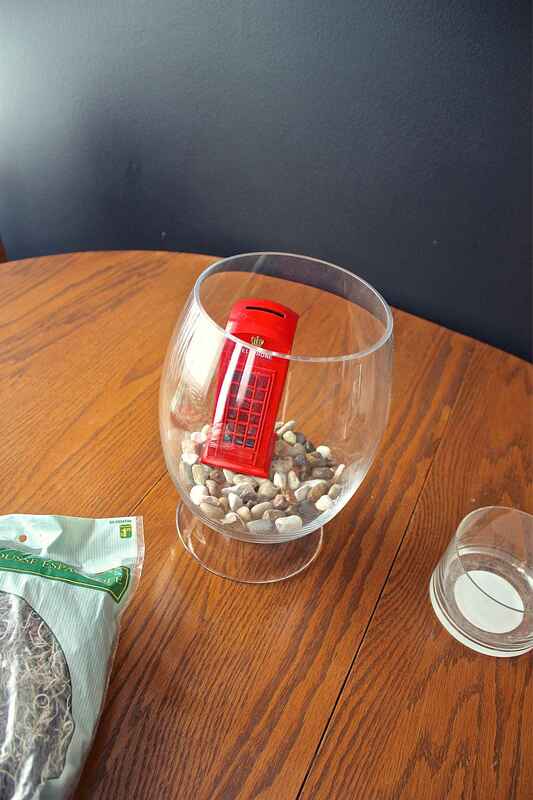 Line the bottom of the terrarium with rocks. Lay down a bed of moss. From there, add the remaining objects and decorate according to personal taste and style. Don’t forget to put on your chosen show for inspiration. 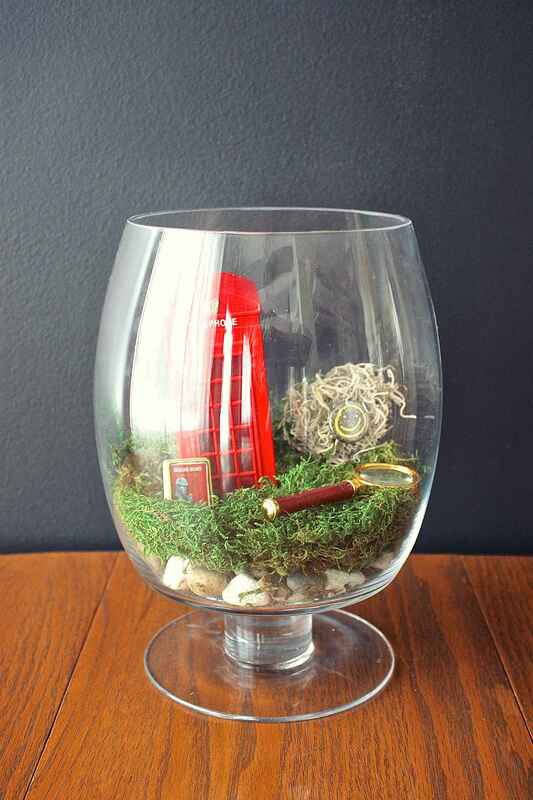 What film or series would you like to turn into a terrarium? Oh wow. I was just scrolling back through your old posts and this one caught my eye. 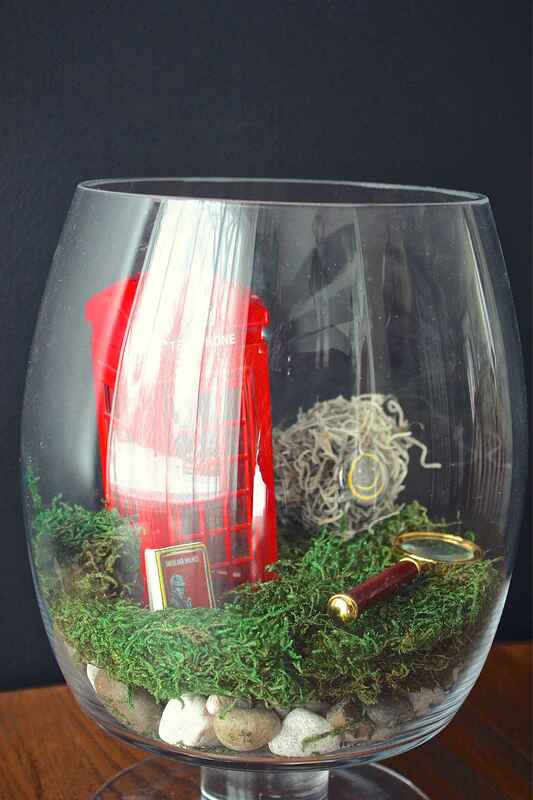 I’m in love with this DIY and Sherlocked all over again! Literally can’t stop fangirling about your diy for this! i so love sherlock! GREAT SHOW. LOVE SHERLOCK AND THE BBC. 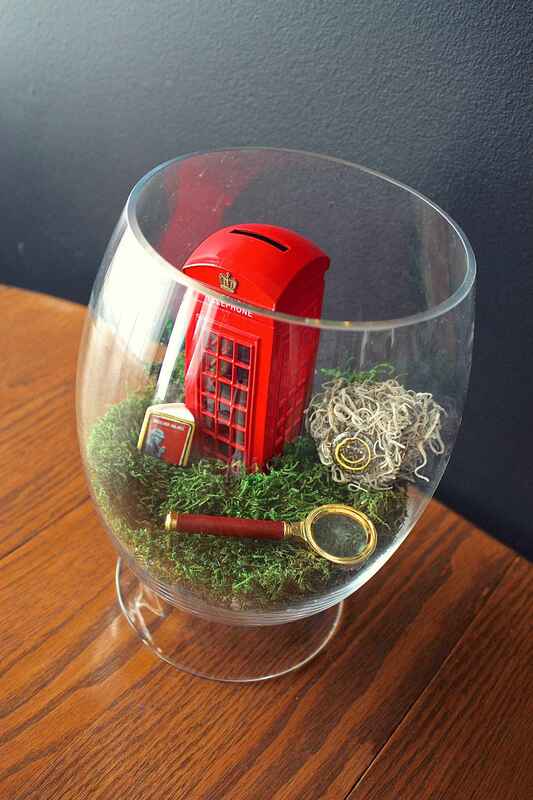 GREAT TERRARIUM AS WELL.